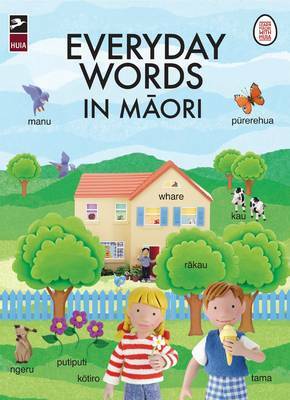 This bright and entertaining book is a stimulating and lively word finder for beginner learners of Maori. Wonderfully detailed miniature model characters and objects provide interest in this picture word book. It's designed for Maori-speaking children and those studying Maori as a second language to provide a quick and enjoyable way to enrich learners' vocabulary. There are a number of hidden objects to find in every big scene. There is a pronunciation guide and an alphabetical Maori/English list of all the words in the book. This is a bright and busy book that will give children and learners of all ages hours of enjoyment.